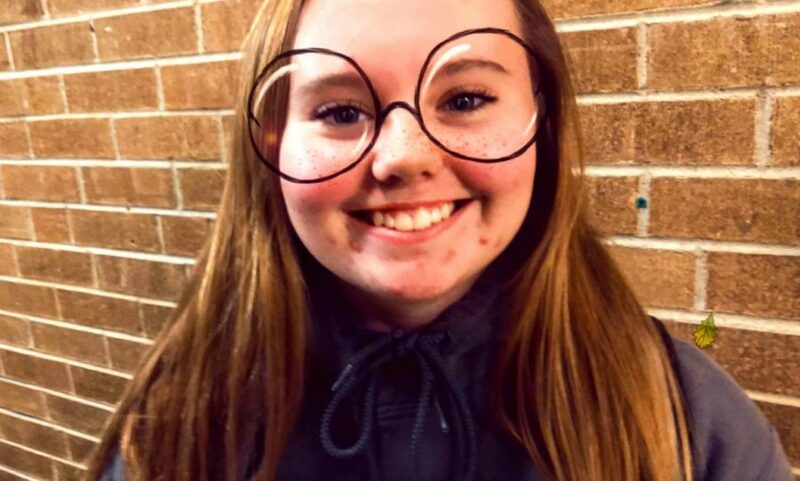 Cathleen Heffernan is a freshman in high school who lives in Manchester with her dad and visits her two siblings (who live out of state) when she can. Heffernan wishes to become a professional photographer when she grows up, along with an interior designer, and she hopes to follow her dreams with her family beside her. I would go back to when I went with my cousin to Six Flags in Ohio and got to see my brother. I would change the decision of dying my hair rainbow. If you could have a super power, what one would it be? The ability to fly because sometimes my feet get too tired and I no longer want to move. What’s the best moment you experienced in school? When I had to get three stitches in my knuckle. It happened in my last hour class. I was trying to hit a piece of metal with my hammer and missed. The metal sprung towards me slicing my knuckles open. The one with leaves falling in the background and the big owl glasses.